Family is an essential part of any society, and some of the most difficult cases in human rights are to do with parents and their children. On Global Day of Parents, let’s take a closer look at what human rights do for mothers and fathers. Parents have a right to respect for their family life, a right to have their children educated according to their religious and philosophical convictions, and a right not to be discriminated against when exercising these (and their other) rights. 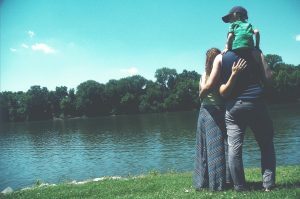 Parental rights connect to issues of education, child custody and access rights, adoption and taking children into care. That’s a lot, so let’s get started. Public authorities are not allowed to interfere with this right except in circumstances where laws are being broken, public safety is in danger or for the protection of the rights and freedoms of others. More on how parental rights are in balance with other rights later on. For now let’s look at where rights have supported parents. Parents have a right to ensure their child’s education conforms to their own religious beliefs and philosophical convictions. In a UK case from the 1980s, Jane Cosans and Grace Campbell both had children suspended from school because they refused to accept corporal punishment. The Court found that this breached the child’s right to education and a parent’s right to have them educated in accordance with their own philosophical convictions. The rights of different parents after a divorce or separation can be tricky. However, human rights ensure that if parents are separated and one wishes to take their children abroad, the other parent’s relationship with the child and right to respect for their family life must be considered. Parental rights played a role in changing a rule which required that all 18 month year old babies be compulsorily removed from their mothers in prison. The UK Court of Appeal said that prison policies had to be more flexible and that removing a child from their mother in prison must be a proportionate interference with the mother’s right to respect for family life. Each individual’s circumstances and best interests of the child must be considered. Human rights have also ensured that any decision which means that parents cannot see their children must be able to be reviewed. Parental rights ensure that children cannot be put up for adoption without their parents knowing. Human rights have also challenged discriminatory adoption laws that have prevented certain groups such as lesbian women and unmarried couples from adopting. When you search for ‘parental rights’ on the UK Government website you will find it coupled with the words ‘parental responsibility’. 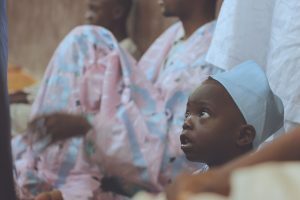 What is parental responsibility? Well, all mothers, and fathers who are married to the mother or listed on the birth certificate, have rights and responsibilities as a parent – known as ‘parental responsibility’. As a parent you are responsible for discipline, education, agreeing to medical treatment, naming the child and looking after your child’s property. If you don’t live with your child you might not necessarily have a right to contact them, but you would still have the right to be kept updated on their well-being and progress. When can these rights be limited? Parental rights can be limited when it is justified and proportionate to do so. The rights mentioned above will be balanced against other considerations, including what would be in the best interests of the children. There are quite a few examples of courts deciding that interference with parental rights could be justified, as the child’s best interests were of crucial importance. These are rarely easy decisions to make. The facts of each case are important and the courts give such matters careful consideration, taking into account the importance of family life.